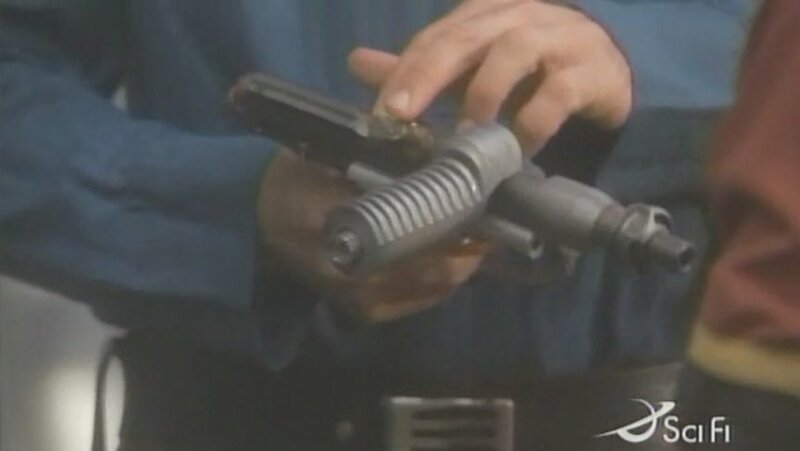 The Andromeda episode "So Burn the Untamed Lands" (season 5, episode 8) features some paintball markers dressed up as energy blasters. 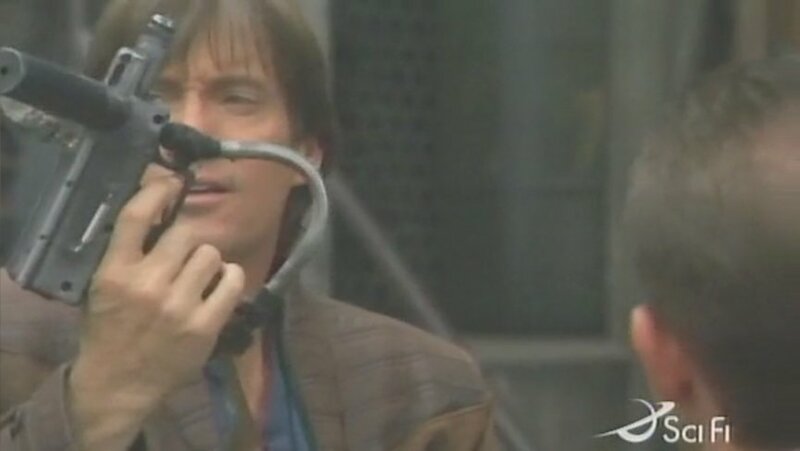 The episode opens with Captain Hunt (Kevin Sorbo) shooting some glass bottles with a "crystal powered" energy gun. 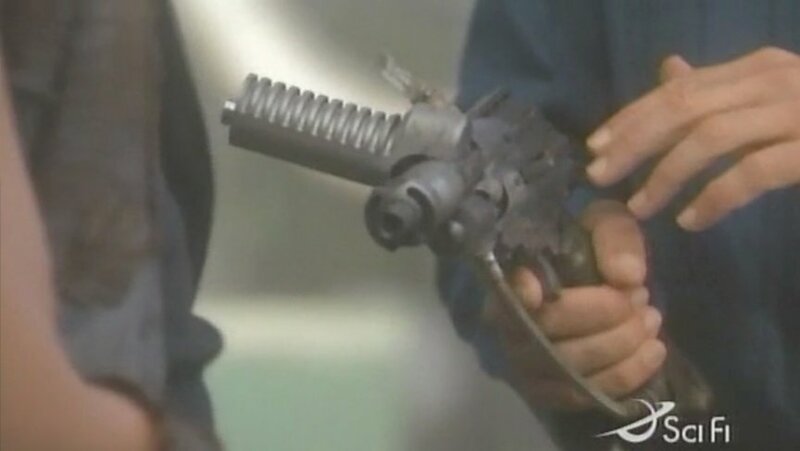 The gun is never shown particularly clearly, but that angled part sticking out to the side is the pump grip off a Brass Eagle Talon. With a little squinting (and a bit of cheating) we find the gun was built off a Brass Eagle Marauder. 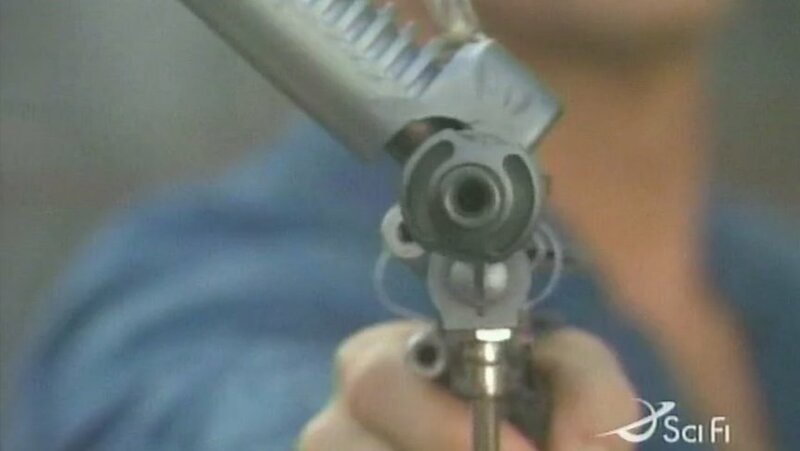 with the barrel sawed off and the pump handle jammed in the feed neck.